9 Simple and Romantic Ideas for your Next Date Night! Going out on dates can be a major headache at times. The waiting at restaurant and crowded places can be disappointing. So the next time you are venturing out on a date, do something different. Have a date at your home itself. We are giving you a few ideas as to what all you can do at home! You don’t always have to travel to camp. 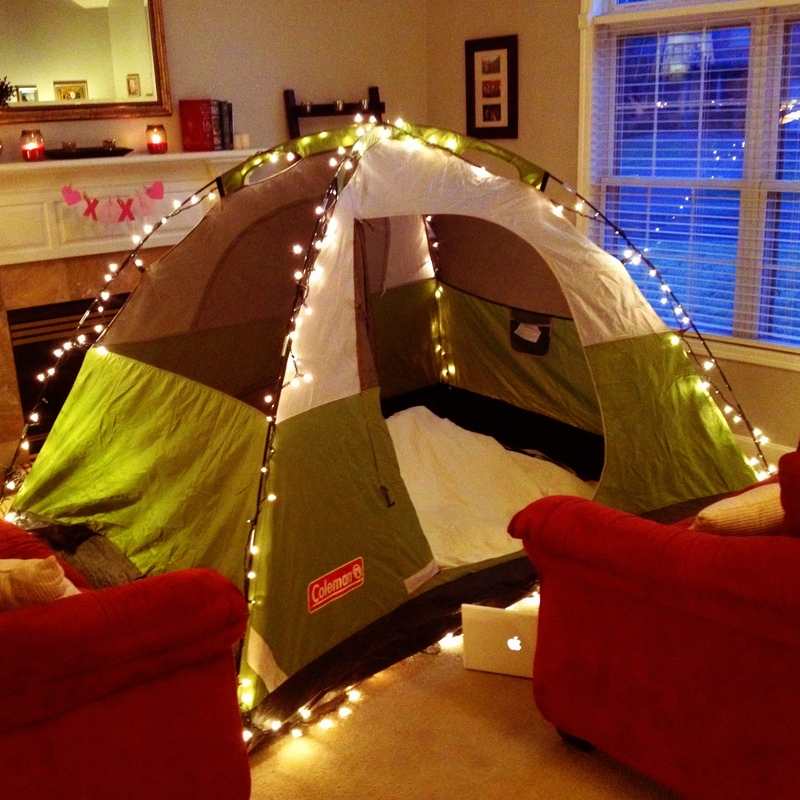 For your next date, set up a tent in your living room itself with sleeping bags and torches. This will give you plenty to of opportunity to cosy up without the fuss of being outdoors! Have a fun, dance night. Put on some music and wear your best clothes. If you love parties, invite a few close friends over, but nothing beats the sensuality ignited by a close dance on a romantic number! If you are both into sports, plan a game night. Choose a day when you have your favourite teams playing, have drinks and food and settle yourself on that comfy couch! There is nothing more romantic than being outdoors under the sky at night. The stars are like aphrodisiac, they instantly make the ambience romantic. Plan a stargazing night and if you are up for it, have a night-time picnic too! Couples who love books, this is the best option for you. Bring your favourite books and discuss them. What will make it more romantic is if you read them to each other! Probably the best way to relax as well as get rid of all the stress of the day that you have accumulated. What you can do is take turns to give head massages, foot massages or back massages. To add to it, you can buy some nice scented massage oil and set the mood with some music. This is specially for those new couples who are still getting to know each other. Hobby night will let you gather a ton of information about your partner and will also increase your compatibility levels! No you don’t have to bring kids on this date, instead you behave like one. Once we grow up all we wish for is to be kids again, well here you get a chance to do just that. Have pillow fights, build forts or just eat up all the ice-cream, do whatever your heart wants! This may be little messy, but totally worth it. Instead of one person cooking for another, both of you get together and cook something. Hope this helps you get out of those boring restaurant dates! This Diwali Try Something New With These 7 Unique Gifting Ideas! Avoid the Embarrassment: 10 Dining Etiquettes For You to Remember The Next Time You Visit a Restaurant!